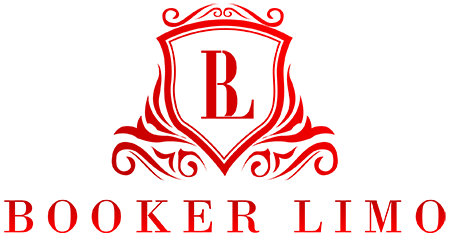 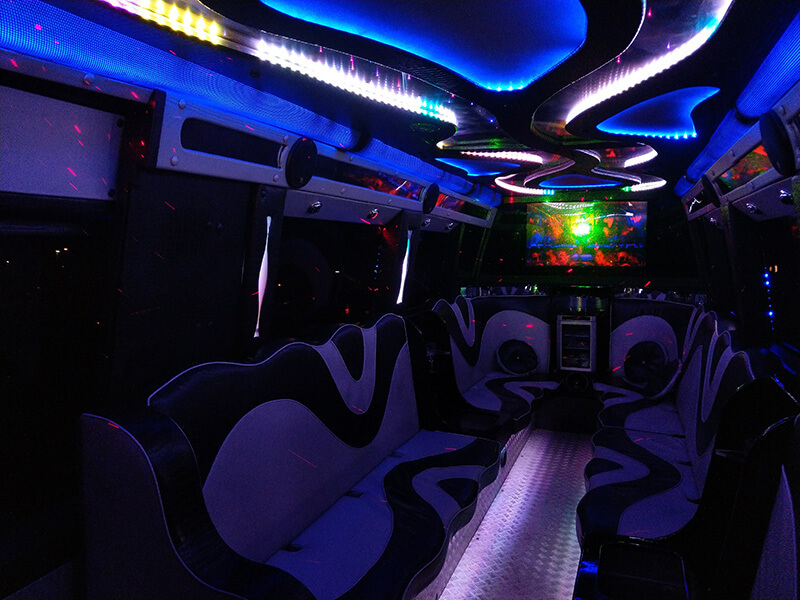 We are pleased to offer the nicest party buses available. 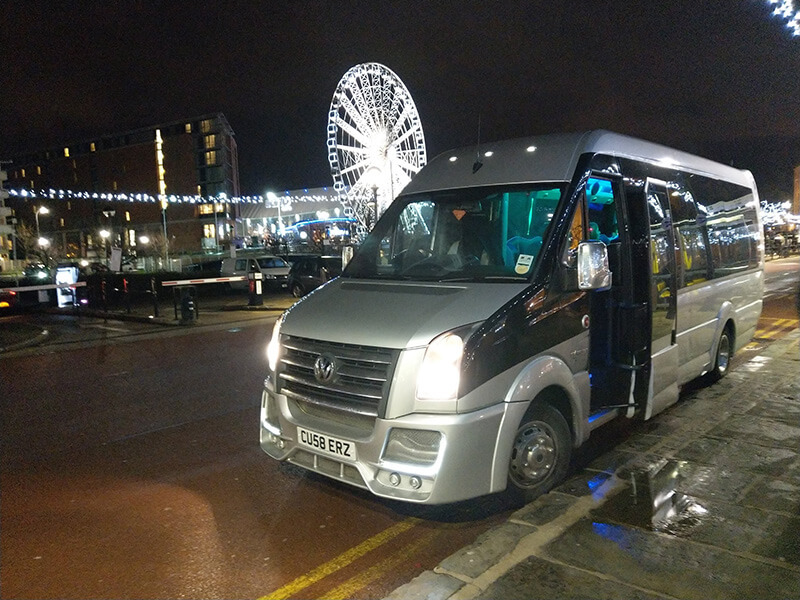 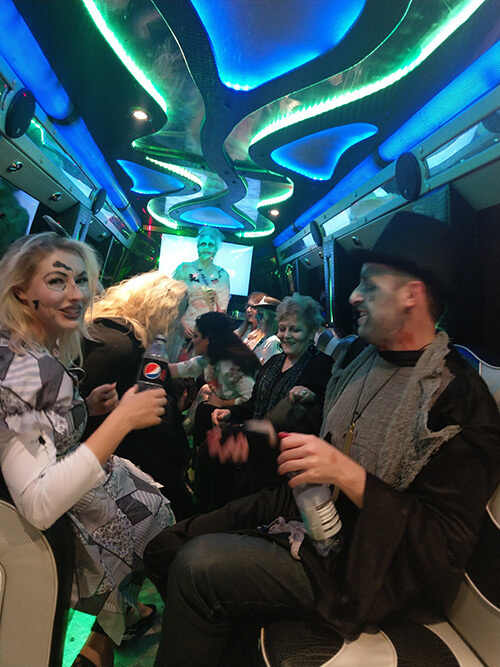 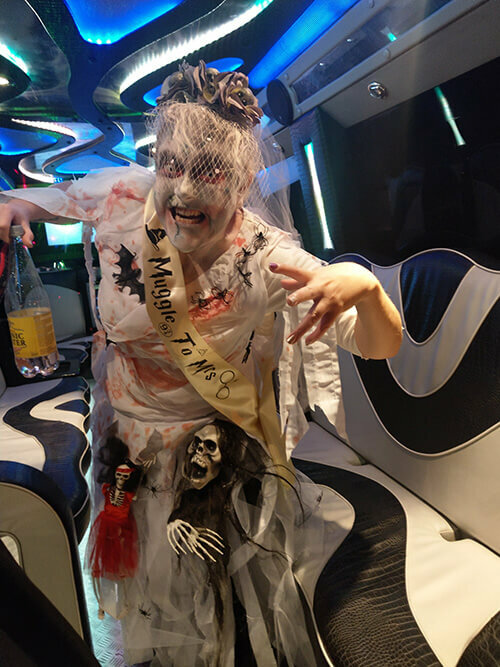 Amazing Starfleet 16 Seater Party Limousine buses that is more than perfect for your Birthday, Hen night, Prom Night, Sporting Event, Wedding Transfers and any occasion where Style and a great time is important. 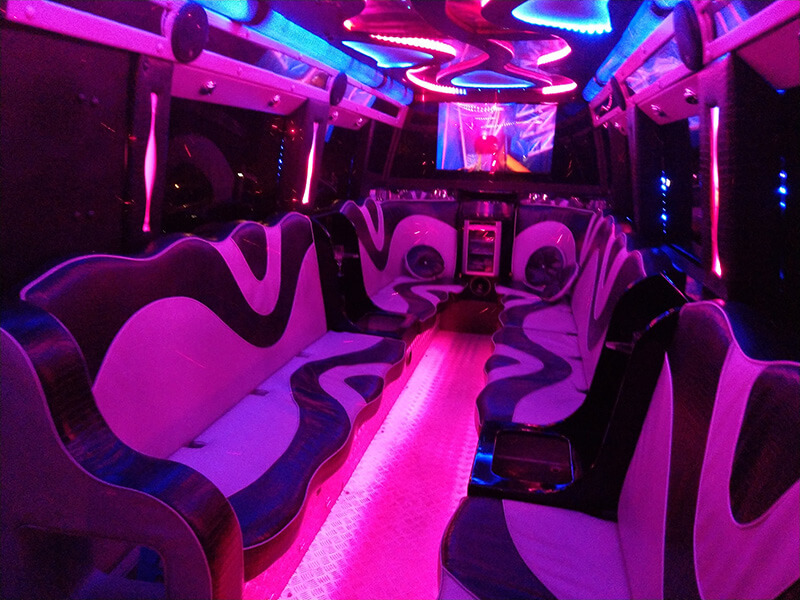 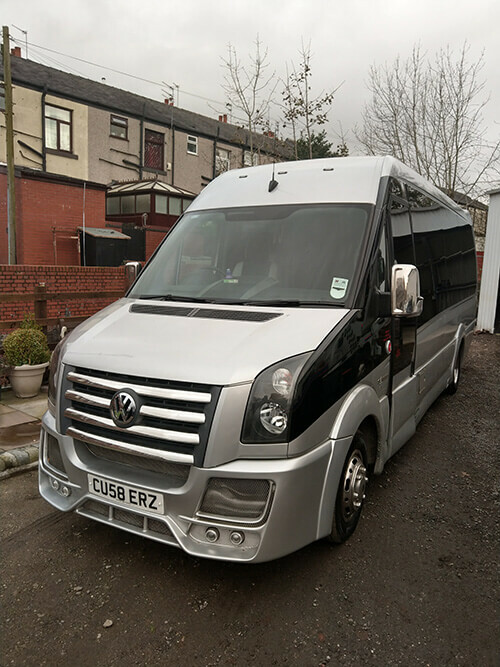 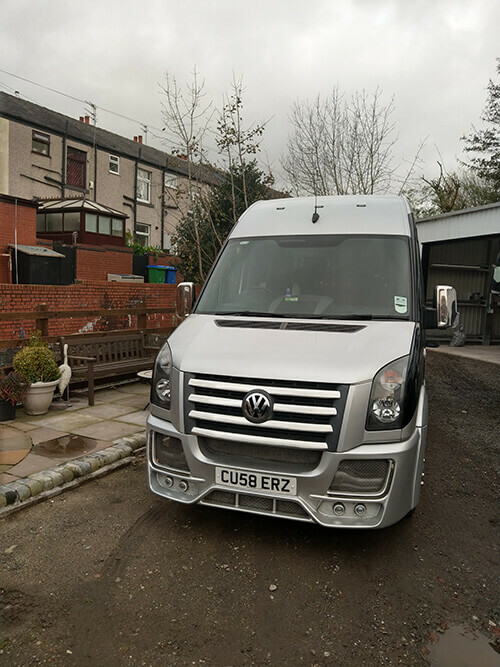 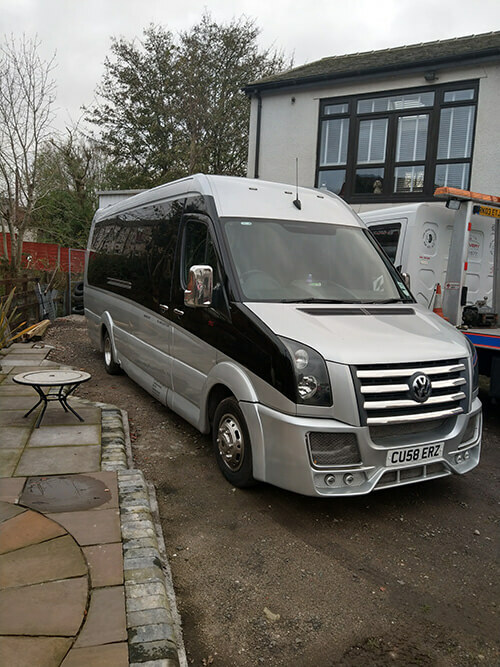 This vehicle is awesome and fully equipped with onboard Wireless Karaoke Machine, Bluetooth Music Sound System, 60 inch TV Screens, Beautiful Mirror Ceilings, Starlight Roof Lighting, Disco Lighting and Firework Lighting. 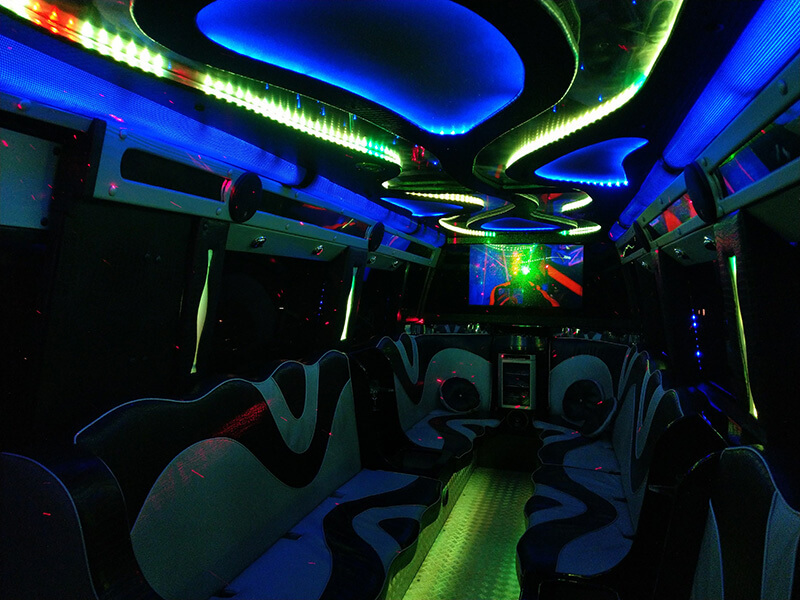 These Magnificent Machines have enough room for standing and dancing, so get on board and Party To The Party.